Each vintage, the winemaker buys grapes from one vineyard and makes one wine. His only rule: Never repeat a vineyard. IN THE PAST few years, cabernet sauvignon has emerged as Washington’s most important grape. It’s the dominant variety in the state, and the wine gaining most of the acclaim from consumers and critics. It’s as close to a signature grape as the state is going to find, in part because of the versatility of the Columbia Valley. Now the hard work begins of exploring vineyards and regions, and developing the style for Washington cab. These wines are available directly from Maloney Single Vineyard Cabernet Sauvignon. Maloney 2012 Elephant Mountain, Rattlesnake Hills, $50: Elegant entry of perfumy fruit, including notes of vanilla, purple plum, huckleberry and blackberry, giving way to dusty sage. The giant tannins that were evident a few years ago are now resolved into chocolaty tones. Maloney 2013 Scooteney Flats, Red Mountain, $50: A classic Red Mountain cab, opening with notes of dusty sage, plum and ripe blackberry syrup, all backed by firm tannins. Maloney 2014 Dionysus, Columbia Valley, $50: Using some of the most revered grapes in Washington, Maloney has crafted a cab that explodes with flavors of raspberry compote, juicy plum, blackberry, dark chocolate and hints of molasses. This wine from this Sagemoor Vineyards block has broad, muscular shoulders that will provide delights to those with the patience to hide it in the cellar for a few years. Maloney 2015 Phinny Hill, Horse Heaven Hills, $50: This vineyard is across the road from famed Champoux Vineyard. Astonishing complexity, with notes of cherry, blueberry, vanilla, sweet cocoa and hints of black pepper. The resolved tannins are approachable. Josh Maloney grew up in New York state and earned a chemistry degree at Cornell University before joining the Finger Lakes wine industry. After two years there, he realized that if he was going to get serious about his wine career, he probably should get to the West Coast, so he took a job in Napa Valley. When Chateau Ste. 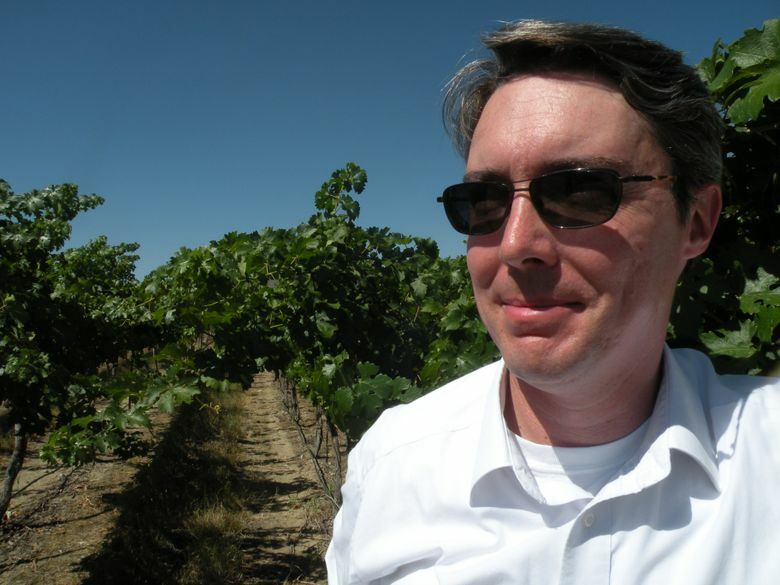 Michelle recruited him, he was thrilled to move up the coast to the Columbia Valley and become red winemaker for the state’s oldest and largest winery. He was especially astonished by the quality of cab, and he hatched a plan to start his own project. The roadblock was the fact that Ste. Michelle Wine Estates has a policy that its winemakers can’t have side gigs. In 2011, Maloney went to work for the Milbrandt brothers and soon launched Maloney Single Vineyard Cabernet Sauvignon, a brand with a singular goal: one wine a year. Each vintage, he buys cab grapes from one vineyard and makes one wine. His only rule: Never repeat a vineyard. The result is fascinating: an opportunity to taste a single vineyard each year made by the same hand. Tasting through his first few vintages gives a snapshot of the state, and it’s utterly fascinating.